Expand your opportunities from inside the box! 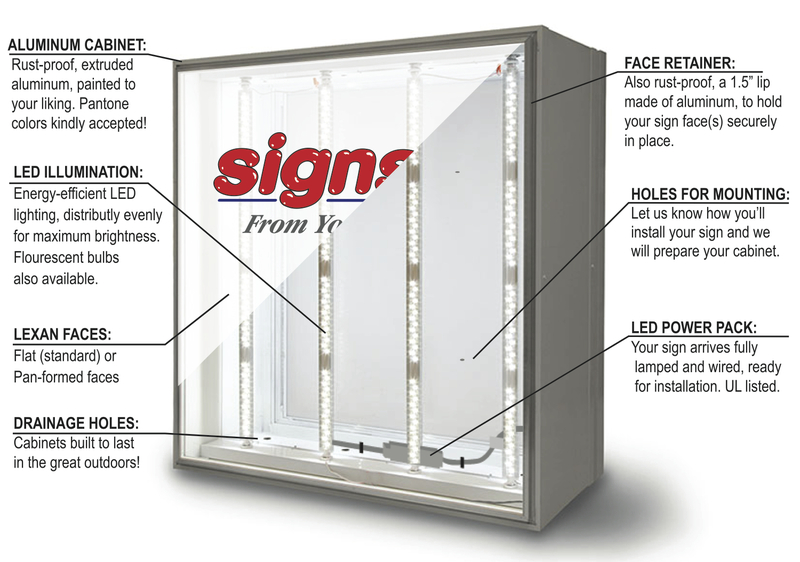 Let the world know you’re there with an aluminum cabinet sign including vinyl or digitally printed graphics. Extruded aluminum cabinets won’t rust and can handle the weather. Pair those with durable, Polycarbonate faces and warrantied (vinyl or digital print) graphics or upgrade to a second surface face, pan formed or flat with a digital print. Browse our diagrams, options and mounting styles and give us a call! IN THE MARKET FOR ONE OF THESE?